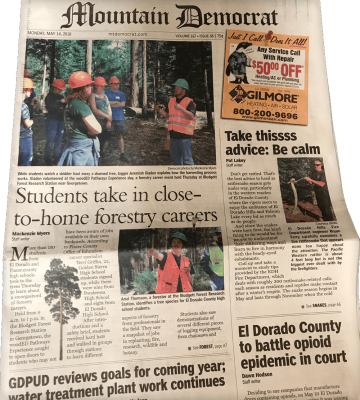 Mountain Democrat published an in-depth article about the woodED Pathways Experience that took place earlier this month! The event hosted more than 150 students from El Dorado and Placer county high schools, and was held at the Blodgett Forest Research Station. The article was published in the paper (pictured), but it's also available online.